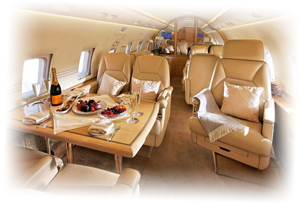 Specialising in providing a bespoke service in the world of luxury jet charter and travel. At Jet Hire Direct we aim to be the undisputed leaders for worldwide private jet charter. We work with only the very best operators offering some of the finest jets in the world. We work to your schedule and tailor each flight to your exact requirements. We are punctual, professional and discreet and work hard on your behalf to secure the best jets at the best possible price for each and every flight. All you need to do is give us a call or complete our Quote Request and we’ll set to work finding the right jet for you. By being selective with our choice of jets and jet operators you can be assured of only the very best in standards of service and safety. For regular travellers our Flight Account offers you all of the benefits of fractional or full jet ownership without the upfront costs, staffing, maintenance or hangarage. Fly with as little as three hours notice on the world’s finest jets and unlike fractional ownership and many alternative Jet Card options, we don’t restrict you to an aircraft type, you get to fly on the aircraft that suits your needs for each individual trip. If your routing or passenger numbers are likely to change, we’ll accommodate those changes every time and ensure that you have the right jet in the right place every time, based on your preferred routing, the number of passengers, the time of day and the amount of luggage. and any other little luxuries you need. Worldwide private jet charter by Jet Hire Direct.